will arise, from men, mostly. Poem / Bucky Ignatius works part time as building manager and Final Friday elevator operator at the Pendleton Art Center. This poem from 2012 or 2013 is a favorite of artists at the PAC, where it was posted on the elevator for a time. 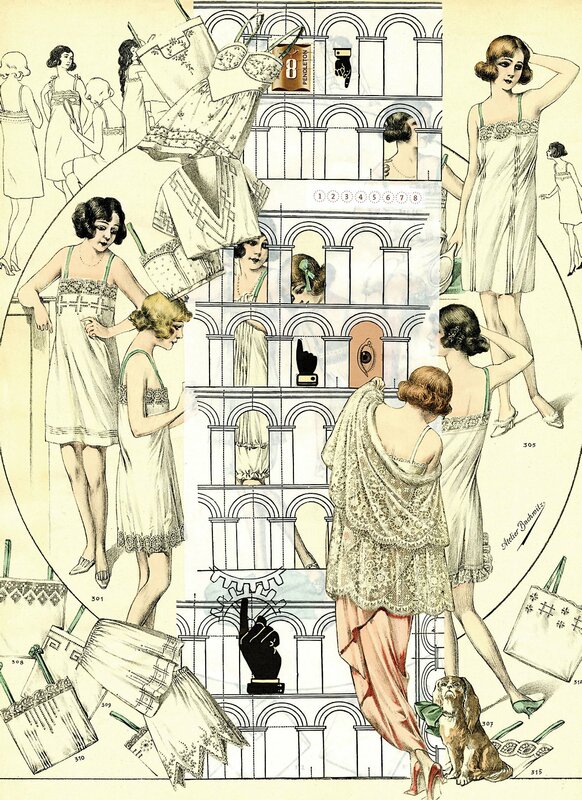 Picture / Sara Caswell-Pearce, “I spy,” mixed-media collage, made with original hand-colored lithographs from a 1917 issue of “Lingerie Elegances,” a French lingerie catalog; vintage printer dingbats; antique postage stamp; and transfer of an antique architectural illustration.